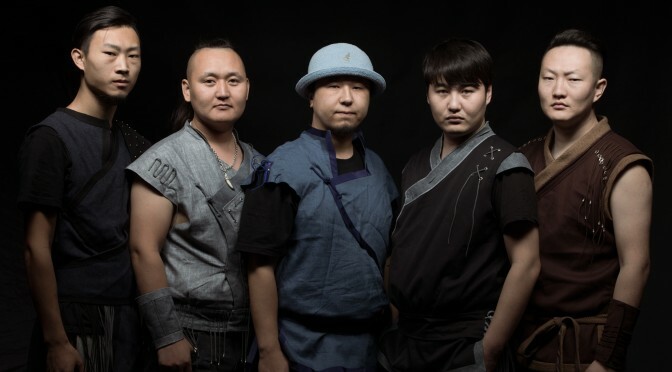 An interview with Askhan from Nine Treasures, Mongolian folk metal from China, originally published on Echoes & Dust. China is one of the biggest countries in the world. It has a complex and diverse history and apparently a thriving metal scene, which is vastly different to that we have in the ‘west’. That diversity extends to bands that have an ethnic element that we don’t even know about. Nine Treasures is one of those bands. Askhan, bandleader and main songwriter of Nine Treasures concedes that it’s hard to explain to people that he is from Inner Mongolia. His ethnicity is there for Mongolian, though the region is mostly populated by Chinese people. It’s the part of China that sort of embraces the nation Mongolia and is deeply connected to its ethnic roots, music and culture. It’s not an uncommon story that folk music blossoms when uprooted from its home. It was in Beijing that Nine Treasures took shape, thanks to the work of Askhan and passion for the music. He moved to this metropole, because it’s the centre of the music business in China. A place of opportunity. The band has started touring the world and played venues all over Europe with their unique blend of folk and metal. I got in touch with the busy man himself to learn more about the band. Can you start by introducing yourself? How did you get into metal? Hi I’m Askhan from Nine Treasures, I’m the guitarist and vocalist. I got into metal when I was in junior high school. I listened the band called Hurd. An old Mongolian metal band, but the funny thing is I didn’t know that is metal. I just loved the songs they wrote and played, but after that I got into all the classic bands like Metallica and Slayer in High School. I’ve grown up in Inner Mongolia and picked up the guitar in high school. I’ve played in three bands this far and Nine Treasures is my third project. My first band was mostly for fun at the time. The second band was called M-Survivor, we played metalcore in my college days. I also do the recording, editing, mixing, mastering, designing artwork, editing the video’s and make the posters for Nine Treasures. I guess I do all I can for the band. I quit my day job in 2013 and now I’m fully committed to working for the band. I understand the band is from Beijing, but the roots are in Inner Mongolia, can you tell more about that origin of the band and how you guys got together? Do you have any other musical projects going? I started to find all members of Nine Treasures when I got to Beijing at 2010. It was very lucky that I found them in very short time, because we knew each other before. It’s not easy to find Mongolian musicians in Beijing, unlike in Inner Mongolia. The guys I’m playing with now are the only capable ones I found. I had some demos from 2010 and contacted them. They loved the stuff, which is key for finding committed band members. You have to show them something that’s worth their while. How did you come to the decision to blend folk music with metal? I fully got into folk metal music in 2007. I start to think about how I can put Mongolian folk into metal music for 3 years before Nine Treasures was founded. It was a very difficult process figuring out how to bring together those two elements, which required a lot of thinking. For western bands there are plenty of examples to learn from how to combine these elements. Mongolian folk music is radically different from European folk, so I really needed to figure out how to fit them in with western instruments like guitar, bass and drum. They really need to connect and we want to put east before west in the sound. It’s a hard thing to do, but it works and we’re only getting better at it. What does the name Nine Treasures originate from? What is its meaning? Nine Treasures refers to the precious metals and gems Mongolian people like to put on their jewellery, such as gold, silver, copper, coral and so on. It indicates luck and good wishes for the future. Can you tell a bit more about the instruments, why you chose to use them and how you put them into metal music? Nine Treasures uses folk instruments like the Morin Khuur, Tovshuur, Balalaika etc. All these instruments, except the Balalaika, are Mongolian. The Balalaika is a Russian instrument. When you’re doing Mongolian folk metal, the first thing to put into it is the Mongolian instrument. You build the metal music up around it, but I’m not sure how I did that. It’s the thing with the creative process, it’s impossible to describe what you do and how. It’s a lot of work that your brain can’t fully comprehend and after all that hard work something beautiful comes out hopefully. I hear a lot of this galloping rhythms in your music. I’m assuming this has a lot to do with the stories (as demonstrated by the title ‘Galloping White Horse’). Can you tell me a bit more about the musical and thematic elements of Mongolian folklore and folk music that you put in your music (like what themes are very present, but would people not know about)? Mongolians are horseman people on the world for 2000 years. We had lot of stories about horses. The horse has a few different running rhythms, some of them are fast, some slow. The different speed creates different feelings and emotions. To give you an example, if the horse is running slowly, then it will make us happy or think deep g about something, right? And then you have to remember the feeling and write some words for it. Then you can sing it for a melody you like and boom! You’ve got a song. That is the way how Mongolian folk music comes together and is created. You’ve re-released the album ‘Avan Ald Guulin Honshoor’ recently. What prompted the re-release and can you tell about the story you are telling on the album? First release of ‘Avan Ald Guulin Honshoor’ was in 2012, we didn’t have good gear and instruments in that time. It was a bit rough, so I started to fix all of the tracks after it was released. I didn’t even want to re-release it originally, but some friends told me it has some damn good sounds and much better than before. So there was no reason to hide it anymore. What is the writing and recording process for an album like for you guys? Who is responsible for what tasks? I will record some simple demos without any folk instruments in the beginning, then send those to other members. They will write the folk instrument part for it. So the basis of a Nine Treasures album always starts from pure metal. Are you working on any new music currently? What is the scene like in China/Mongolia for metal and for bands like you? Can you maybe mention some bands that people should really be checking out (and explain why)? China has round 200 metal bands, in a lot of genres and styles. They make music and have tours all the time here. You can check out Ego Fall, Tengger Cavalry, Suffocated etc. Folk metal bands are getting popular here right now. I think people always want to try some new and fresh things. Outside of China probably people only know the band Tang Dynasty. Can you may be shed some light on what started metal music in China/Mongolia? I don’t really know about the history of metal of China, but I think it started at early 90’s. Metal music faces a lot of oppression in some parts of the world. In general we assume here that China is one of those places. Do you face any censorship or oppression of metal culture and music in China? I don’t think so, they just don’t care what music you playing. If there is any sort of censorship, it’s because they care about the lyrics. If you write some words that they don’t like to see, then they probably will censor your work. You can play around with those rules though, it will make your lyrics much more poetical. Blending folk/national themes with metal has in the past often been linked to extreme right politics. Is this something you as a band ever had to deal with like many western folk metal band? We never had that issue, and our songs are all about Mongolian culture, life and environment. What future plans do you currently have as a band? 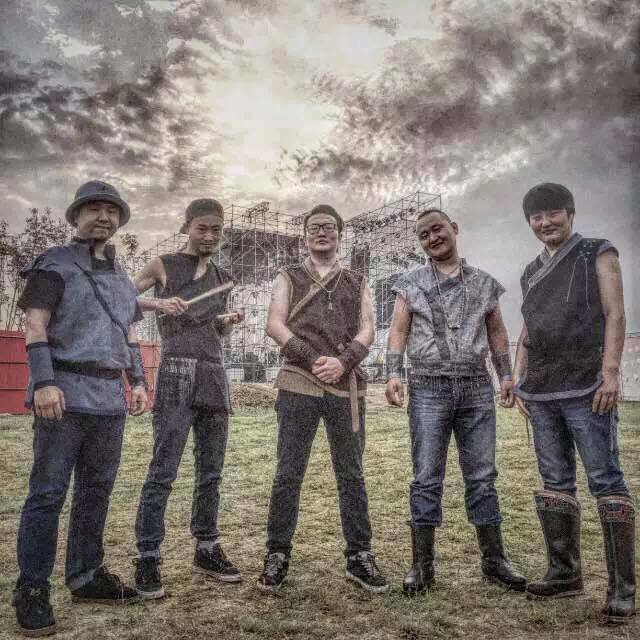 We will release our new album in 2016, then will have tour in whole China and Europe. That’s what we doing right now. Please use this space to add anything you’d like to say. I hope more people will like Mongolian folk metal music all-round the world.